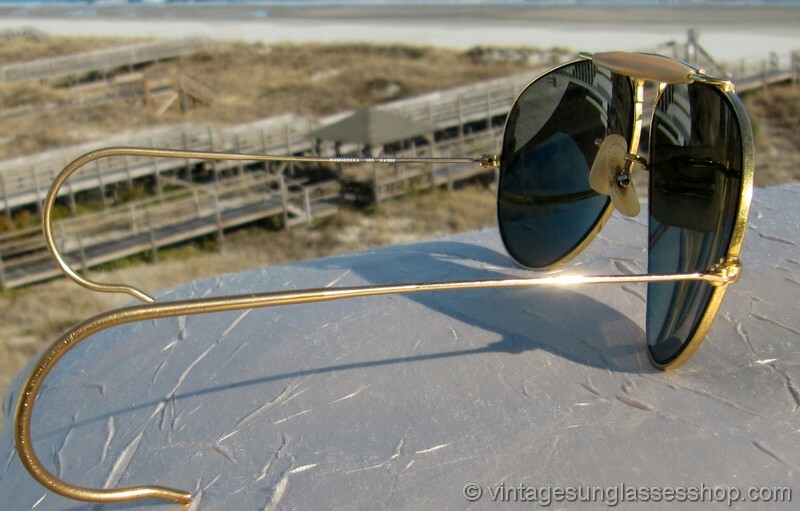 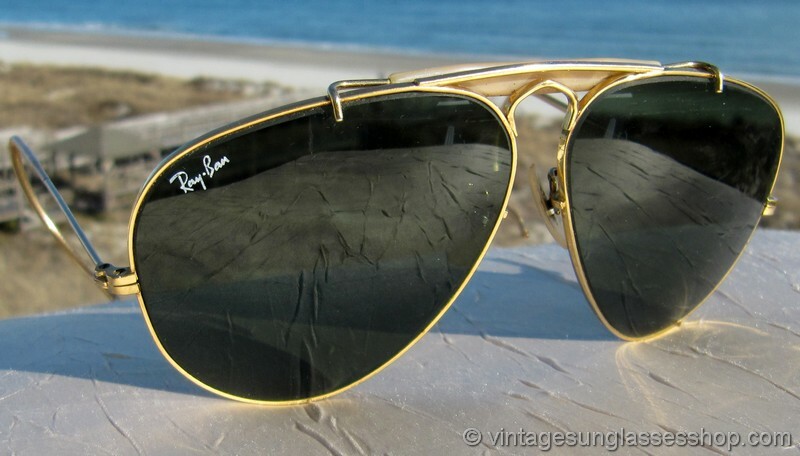 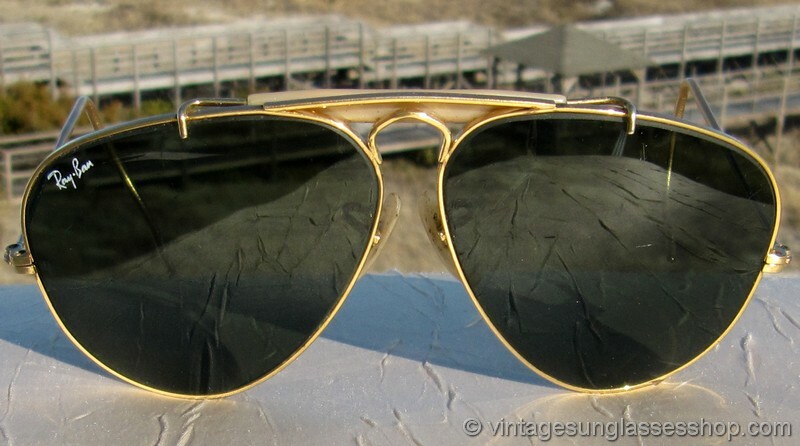 Vintage B&L Ray-Ban 58mm military shooter sunglasses feature that distinctive arched gold plated frame and the uniquely shaped Bausch & Lomb G-15 anti-glare lenses for a great look. 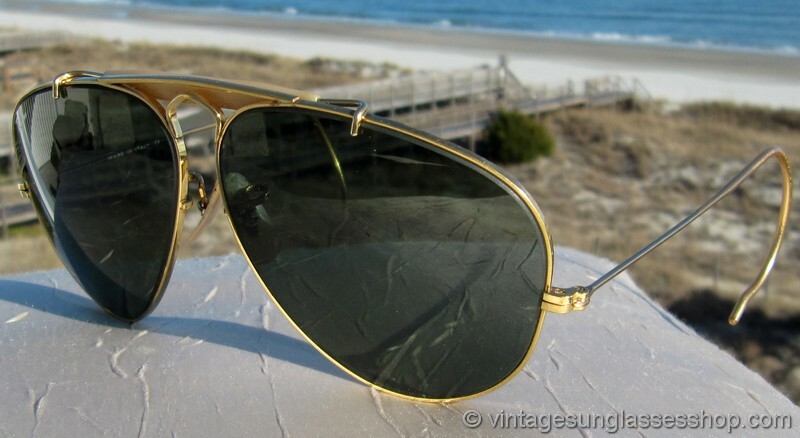 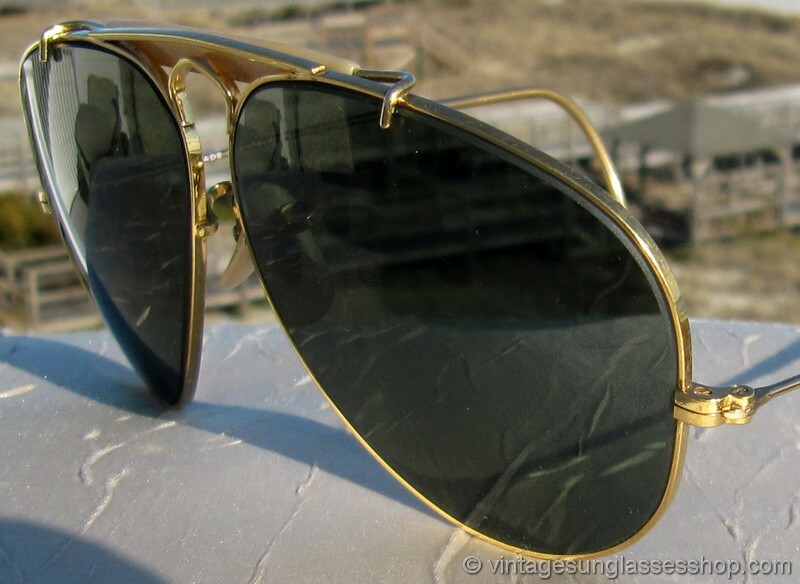 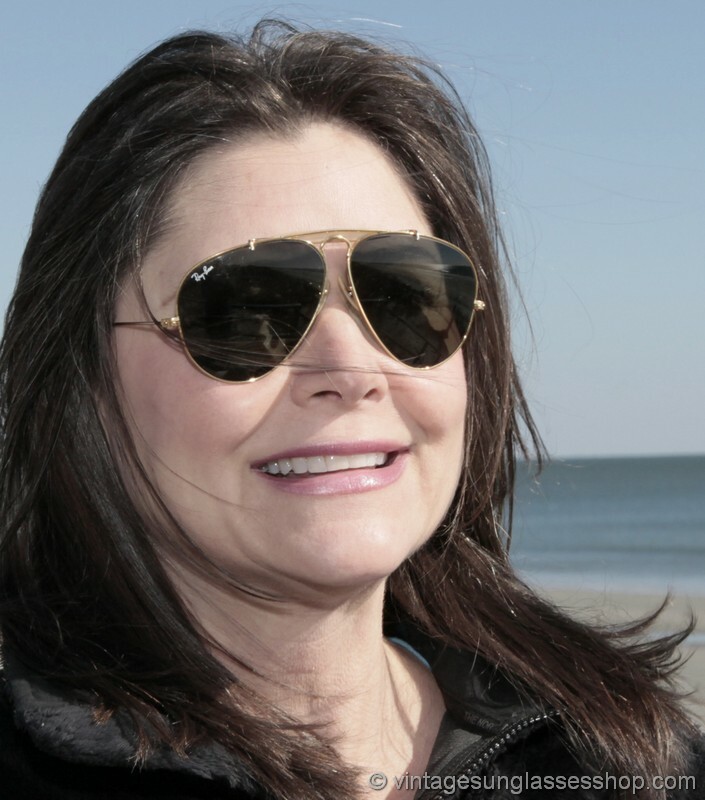 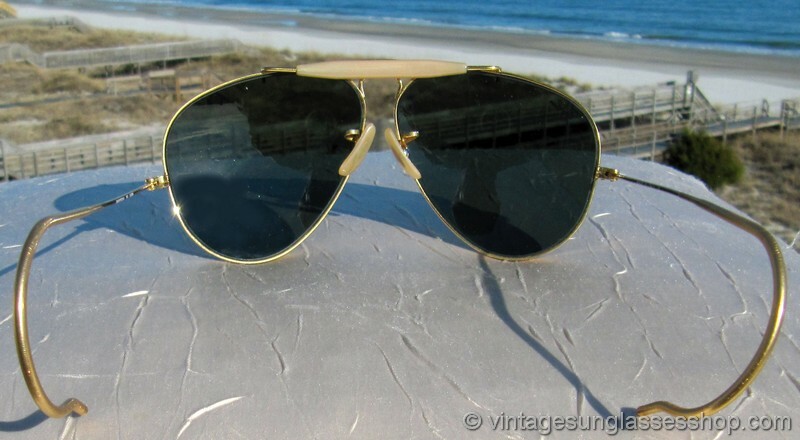 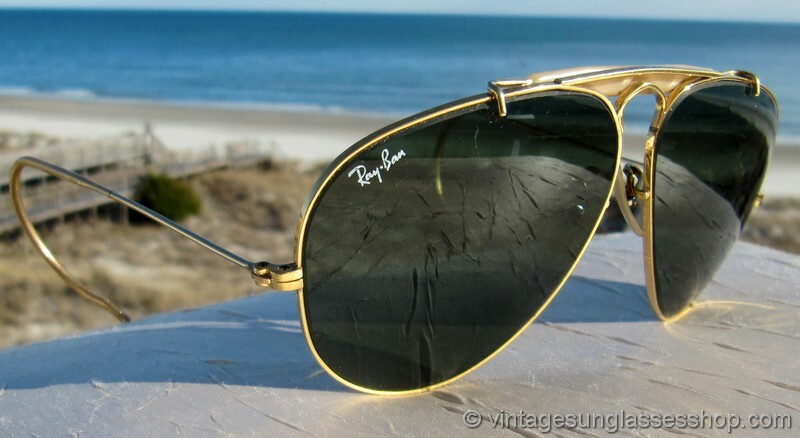 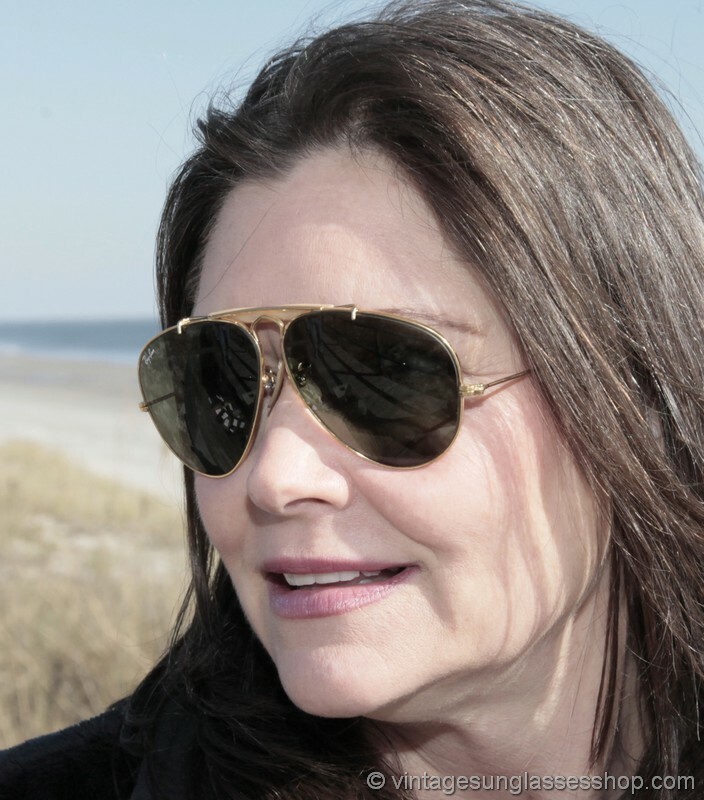 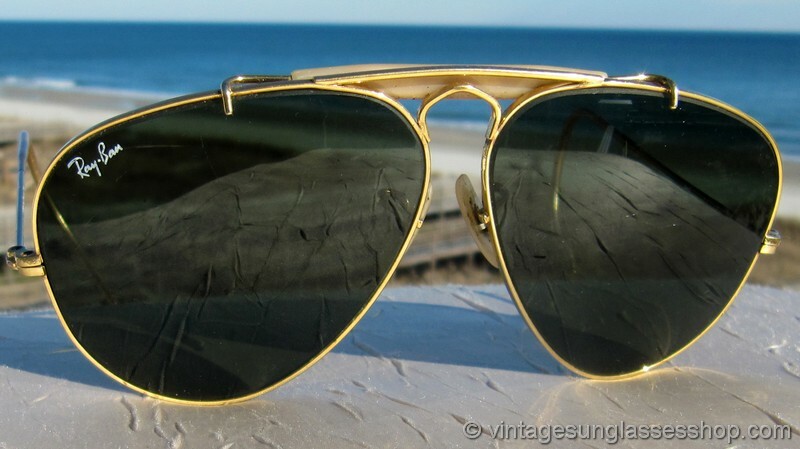 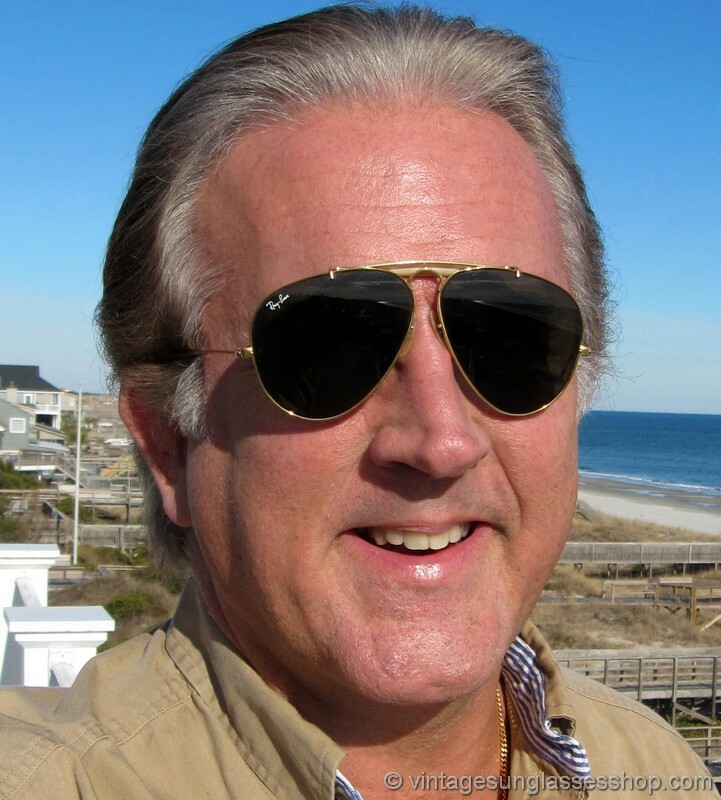 This style of vintage aviator shooter sunglasses has slightly more curve and more arch in the top center than traditional Ray-Ban aviators, and the angular lower nose bridge is also unique to this style and helps to create the curve. 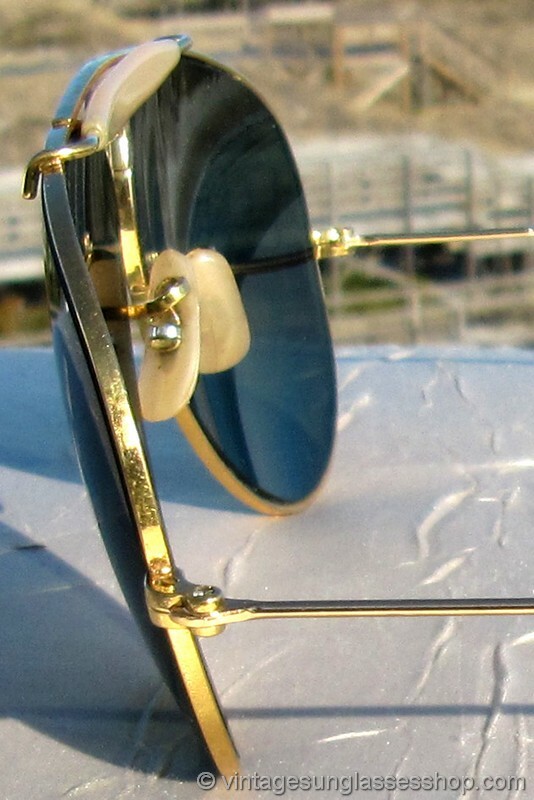 The frame measures approximately 5.0" temple to temple, and the teardrop shaped lenses measure approximately 2.25" x 2.0" at the widest points. 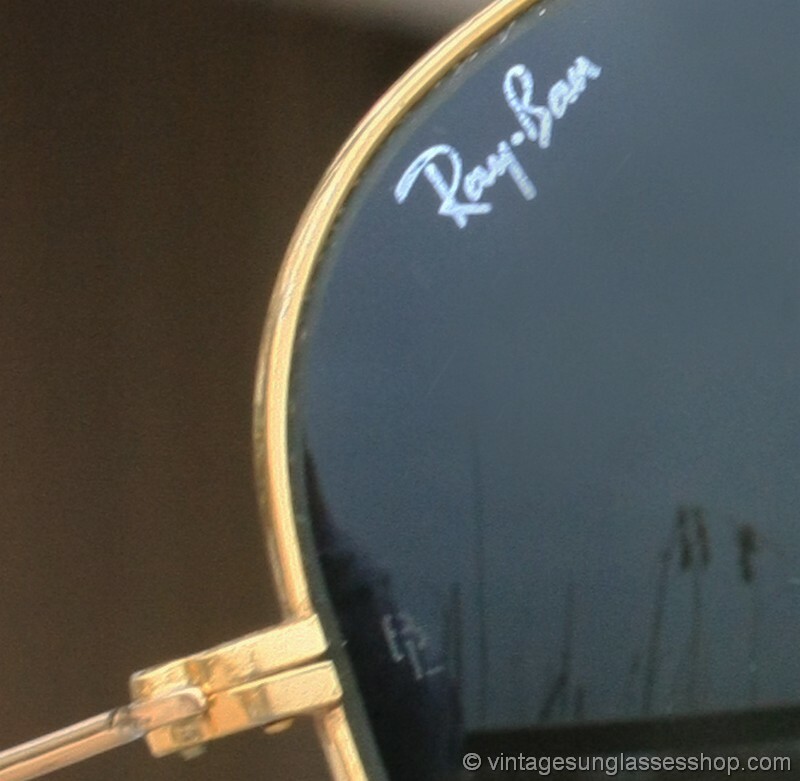 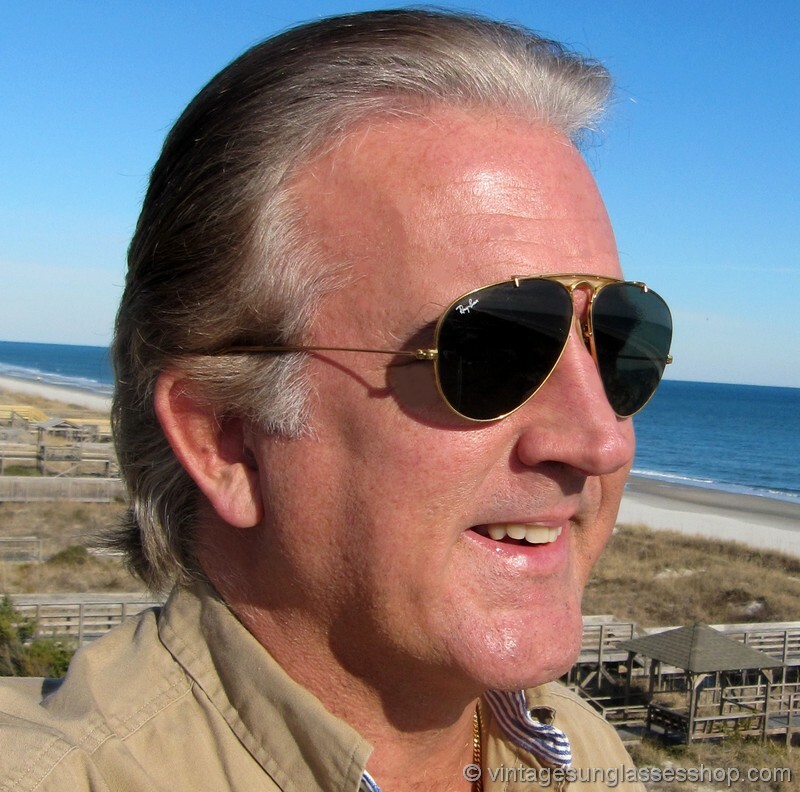 The right lens is laser etched Ray-Ban and both lenses are laser etched BL near the hinges, and the top of the nose bridge is impressed B&L Ray-Ban USA while the bottom of the bridge is impressed B&L Ray-Ban 58  14.